Vegetarians and vegans, have you checked out this restaurant in Versova serving different types of vegetarian (mock/fake) meat? This eatery, Chaap ki Chhap, caters to vegetarians and more so, recently-turned vegetarians who may miss the taste of meat in North Indian dishes. Here, they make mock meat from soya and give it in a form of many dishes – in chaap curry, barbecued chaap, momos with mock meat stuffing and soya burger, or even different rolls such as mango achaari chaap roll, afghani chaap roll. 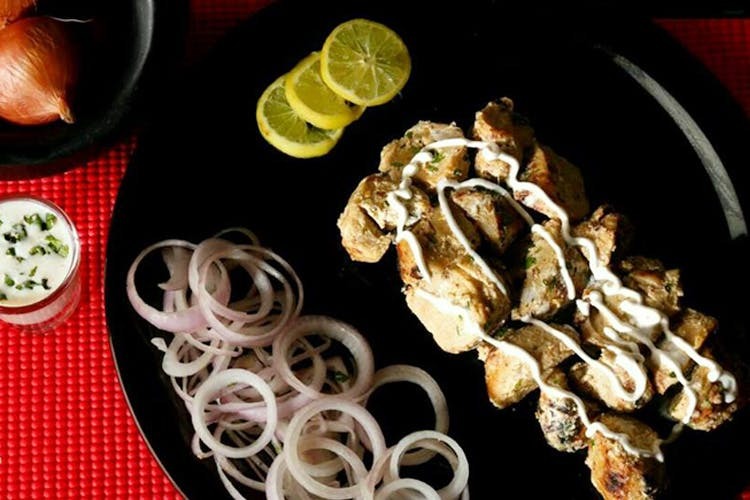 The sheer number of different barbecued soya chaap you have is insane – a delicious hari bhari chaap, masala chaap, lemony achaari chaap, and so many more options that you would usually find in non-vegetarian food.There’s even a dish called japani fish. A few dishes do included a little cream or milk, so vegans must check with the owner before choosing your pick. It is supremely healthy, very delicious and gives you all the protein needed. We’re heading there soon, and grabbing a bunch of friends along with us. You?